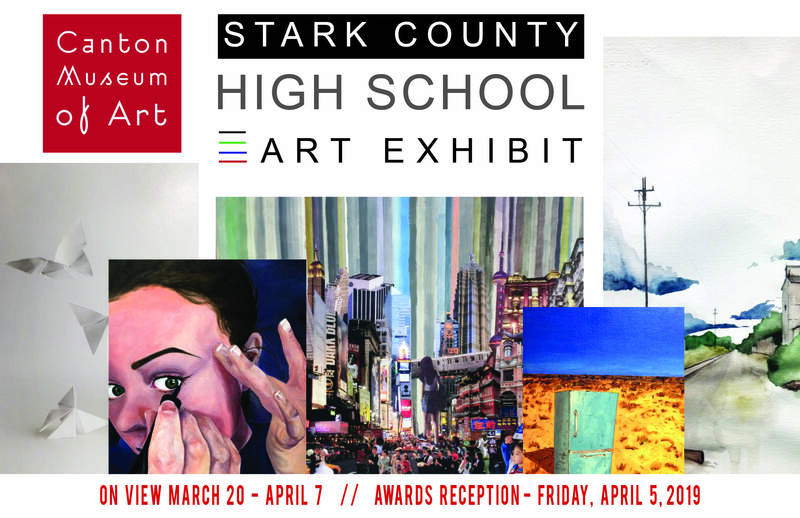 Since 1991, the Canton Museum of Art has proudly held the Stark County High School Art Exhibition. Any high school in Stark County or connected with the Stark County ESC is invited to participate. 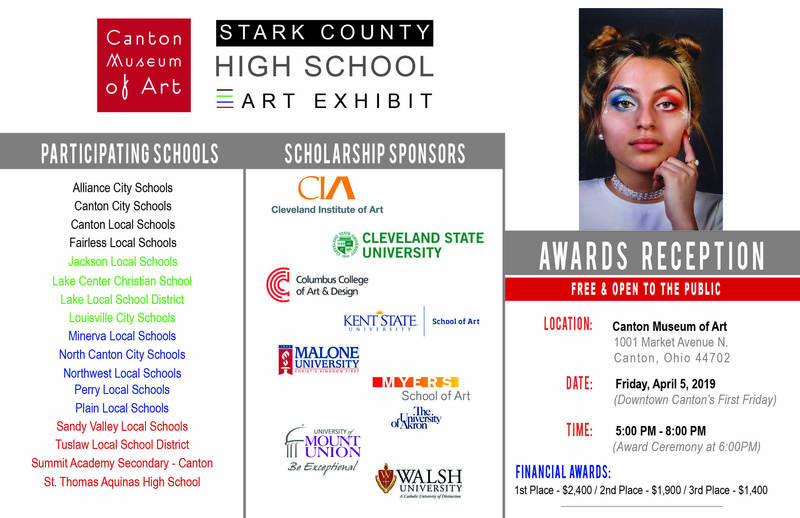 Students have the chance to show their artwork in a gallery, sell their work, receive awards, and even win financial scholarships! Meanwhile, the public has the opportunity to marvel at the creations of students in our community. The exhibit features original two- and three-dimensional original works by students, created as part of their school curriculums and chosen by the school’s art instructor. Each school is limited to a total of ten entries with no more than two entries per artist. Student works are judged on the basis of both originality and technical ability. Download the 2019 Exhibit Intent to Participate Form, Schedule, & Guidelines.